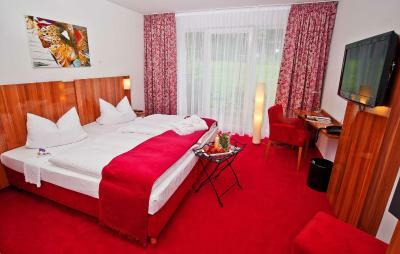 Lock in a great price for Wohlfühlhotel Rabenhorst – rated 8.7 by recent guests! Location, the trails. Being accommodated on the ground floor for our dogs. Breakfast all you need, Gourmet Restaurant excellent food. Very Friendly Staff, Located at a quiet place, nevertheless near the Uni-Klinikum. Fantastic breakfast - so much choice and really fresh; very nice and clean spa area and a pool that allows you to swim; fruits and sweets to help yourself throughout the day; welcome bottle of sparkling water in the room; books to borrow etc. Breakfast selection very good; good that it was available from 0630 hours too. Complementary fruit/sweets a nice touch. REALLY nice that the complementary water in the room was in GLASS bottle not plastic. Breakfast was excellent. I live the selection of fresh fruits and yoghurts. Croissants were delicious and the housemade hams were 👍restaurant is recommended, Schnitzel was lecker! Breakfast was exceedingly perfect! There was nothing we could have wished for that wasn't already there. The room had a bathrobe, towel, accessoires and even a little present for each person. 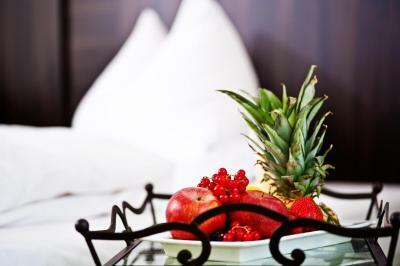 Fresh fruits, snacks and sweets corners throughout the whole property. Breakfast have good choice of fresh fruits, which is rare to find normally. New swimming pool. Small but good for our needs. Reasonably priceed mini-bar. Own terrance facing the woods. Super reichhaltiges und vielfältiges Frühstück. Die Lage ist genial inmitten eines Waldgebietes. Sehr ruhig. Spa-Bereich sehr persönlich und durch die eher kleine Hotelanlage auch durchweg wenig los. Super Frühstück. Ruhige Lage und absolut freundliches Personal. Wohlfühlhotel Rabenhorst This rating is a reflection of how the property compares to the industry standard when it comes to price, facilities and services available. It's based on a self-evaluation by the property. Use this rating to help choose your stay! 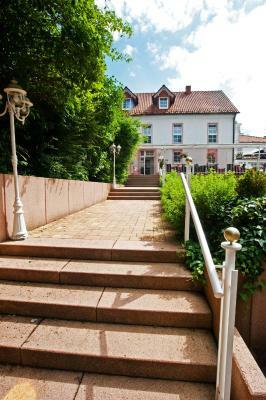 One of our top picks in Homburg.The Wohlfühlhotel Rabenhorst offers well-equipped rooms, free Wi-Fi and 2 restaurants serving local and international food. It is located in the countryside, just 0.7 mi east of Homburg. 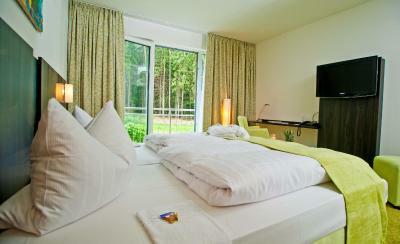 The large rooms at the Wohlfühlhotel Rabenhorst have cable TV channels and a modern bathroom with fluffy bathrobe. A German-style breakfast buffet is also available each morning. 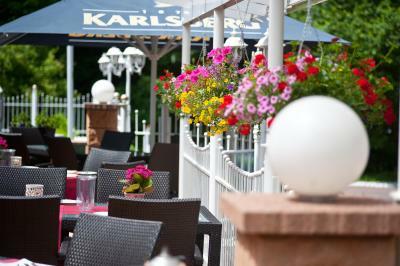 The Bliesgaustube restaurant serves specialties from the Saarland region. 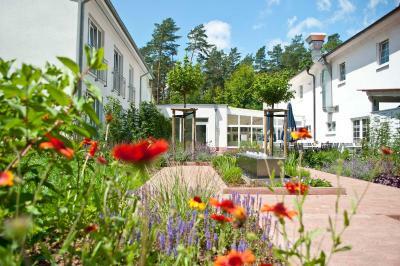 The Hochgenuss gourmet restaurant offers Mediterranean cuisine and seasonal dishes. Guests can park at the Wohlfühlhotel Rabenhorst for free. 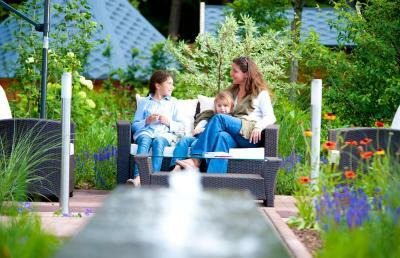 When would you like to stay at Wohlfühlhotel Rabenhorst? 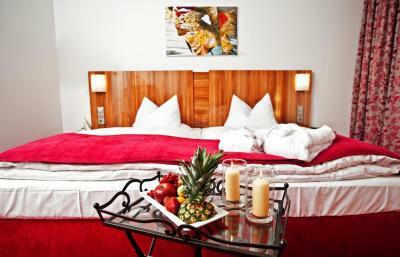 Room features a flat-screen TV, free Wi-Fi, and a private bathroom with a hairdryer and bathrobe. Includes a telephone offering free calls to German landlines. The room also offers an open wardrobe and storage space for your case. Includes a telephone offering free calls to German landlines. The room also offers extra space, a walk-in wardrobe and storage space for your case. House Rules Wohlfühlhotel Rabenhorst takes special requests – add in the next step! 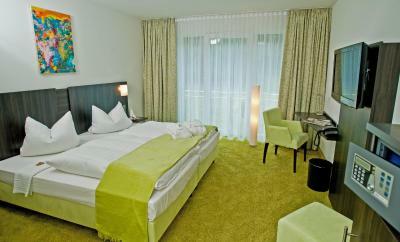 Wohlfühlhotel Rabenhorst accepts these cards and reserves the right to temporarily hold an amount prior to arrival. In previous years the complimentary pen was a nice metal one (I still have the one from 2015). I see it is now a cheaper plastic one: just saying. Breakfast was superb. Staff were great. The open stairs are the only way for guests to get to the second floor. Not very convenient for guests with Dogs. The breakfast is something to look forward to. The wifi connectivity was spotty in the room. Trick to find, I thought the road already ends but then out of nowhere you see the building and the lights. In the middle if woods. pool was warm, breakfast was nice. We arrived in the evening and we waited 30 Minutes and ringed the bell several times before I had to get someone myself to let us check-in. Poor wi-fi, did not even work sometimes. Very slow. Nice location in beautiful nature.